If you’re traveling to Britain, here’s how to easily book one of the most comprehensive and historic rail networks in Europe. Whether you’ll be spending equal time in England, Scotland or Wales or favoring one country over another, our expert comparisons and pricing options will help you come up with the best plan. Even helping you to choose between city-to-city tickets and more flexible country passes. So lets get started..
Getting to London from the Continent by train used to involve at least one ferry transfer. Not anymore. With the 1994 opening of the Chunnel, running underneath the English Channel between England and France, one can now travel between London and Paris with relative ease. The Eurostar train offers direct service from Paris’s Gare du Nord and Brussels’ Gare du Midi to St. Prancras in London in about 2 hours, making London (or Paris) a day trip destination. More than a dozen Eurostar trains travel both to and from the Continent daily. 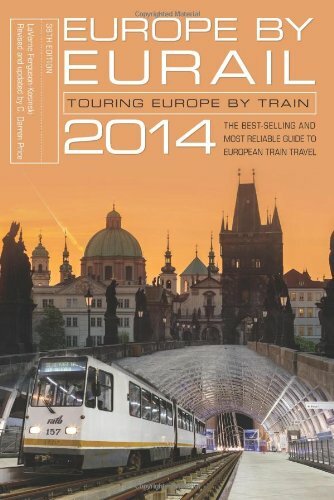 Rail Europe sells Eurostar tickets, allowing you to combine a trip to London with a rail tour of the Continent. Eurail passholders do get a discount when purchasing a Eurostar ticket. Unlimited rail travel on England, Scotland and Wales. Provides unlimited travel on the national rail networks of England, Scotland, Wales, Northern Ireland and the Republic of Ireland. Instead of purchasing few days pass, alternatively you may also purchase point to point train ticket in UK only. It might be cheaper sometimes to buy few point to point tickets if you only travel few places. 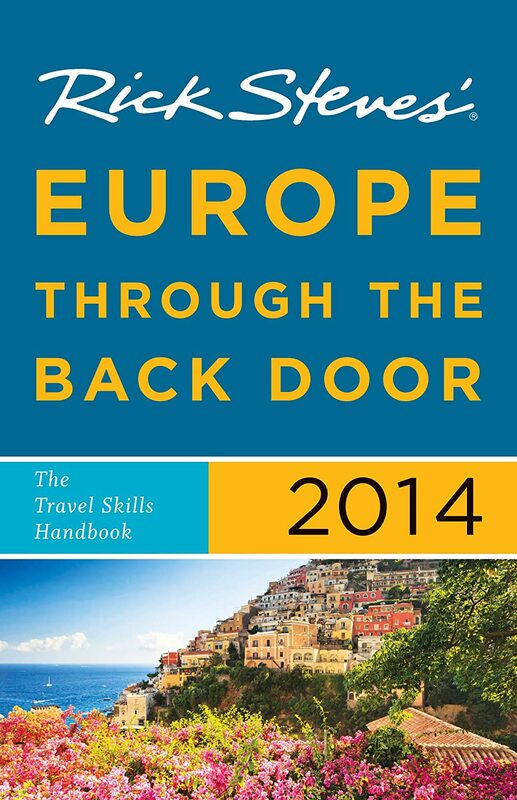 The Eurail Global Pass is not accepted on British trains. If you’re going to be travelling by train around England, Wales, and Scotland, perhaps taking a few train excursions out of London, then consider buying a BritRail Pass. If you’re going to Great Britain in winter, this may be a very economical option as the pass is often discounted for January and February travel. There are various BritRail pass options available, including the BritRail Pass, the BritRail Flexi Pass and the BritRail Plus Ireland Pass. Note that BritRail passes are not for sale in the U.K., so you must obtain them before you leave home. You can purchase BritRail passes from link above and in person at the British Travel Shop next to the VisitBritain office in Manhattan, 551 Fifth Ave., 7th floor, New York. Note: If you plan to travel for only a day or two to Edinburgh out of London, it may be more economical to purchase Rail Europe’s Edinburgh Overnight of Day Trip to Edinburgh excursion packages instead of a pass. The world’s most advanced high speed train connecting London and Kent in Britain, with Paris (including Disneyland Paris), Brussels, Lille and Amsterdam in Europe. You won’t encounter any incomprehensible train terms in England, but there are several ticket types you might be unfamiliar with. Broadly speaking, ticket types divide into three groups: Advance (booked ahead with restrictions), Cheap Day/Saver (bought same day and has restriction), and Open (bought same day, but doesn’t have restriction). Within these groups are various subcategories. It’s ridiculous to try and memorize them all. Instead, let the ticket seller know your travel plan in detail (especially which parts are flexible and which parts are not) and question him closely to determine your best option. If you can plan your travel in advance and stick to set times, it can often be cheaper to buy two advances, single tickets than to buy a return ticket. If you input your journey detail into www.nationalrail.co.uk, the website will tell you which tickets are still available for your desired route. The entire British railway system was privatized under Margaret Thatcher, so there are now a number of different companies operating trains to specific parts of the country. Virgin, First and GNER are three of the major names you might encounter. The sleek high speed InterCity trains running between London and heavily travelled main line routes (such as Edinburgh) are the most dependable and the most comfortable. For shorter trips (to Brighton or Cambridge, for example) commuter trains are used. In some cases you might need to transfer to a local train to reach your destination. The local trains connect small towns between larger towns and are very basic. Local stations are small and sometimes (particularly on Sun) there’s no one to help with information or ticket sales. You will always find train schedules posted in local stations, and if there is no window service you can buy your ticket on the train. There is no smoking on British trains, even the tobacco friendly French have forbidden smoking on the Eurostar. An announcement is (usually) made before a train arrives at each station, some trains will have a digital sign in each car announcing the stop. Station stops are short, so be ready to disembark when train comes to a halt. In newer trains there will be a well marked push button that will open the door automatically. In older trains, you’ll need to open the door yourself. It may open from the inside, or you may have to open the window and reach outside to turn the door handle. Trains have a two tiered ticket system: first class and standard (second) class. First class ticket cost about one third more than standard class. The first class cars have roomier seats and fewer people, but you can travel quite comfortably in standard class. There is no first class service on local trains. There are toilets on board all but local trains. First class service on InterCity (such as those between London and Edinburgh) includes free coffee, tea, beverages and snacks served at your seat, some trains offer a free newspaper and a higher standard of personal service. Standard class passengers can buy sandwiches and drinks in a café car. On most lines an employee comes through with a food and beverage cart. There is no food service on local trains. You can purchase your ticket with cash or a credit card at a ticket window in any British train station, and you can get your BritRail passes validated there as well. You can also buy a ticket on a train(cash only) if there is not a staffed ticket office or a Permit to Travel machine (these enable you to pay some money towards your fare, avoid a penalty fare, and then upgrade to a full ticket on board the train) at your department station. If you have a validated BritRail Pass, just board your train. Seat reservations are not required on most trains, but they are a good idea on some InterCity trains, especially if you’re travelling on a weekend or on journey longer than 3 hours. There are pretty much a must on the night and weekend trains between Edinburgh and London in the summer. Should you wish to reserve a seat on a British train before arriving in the U.K., you can do so through the link above. 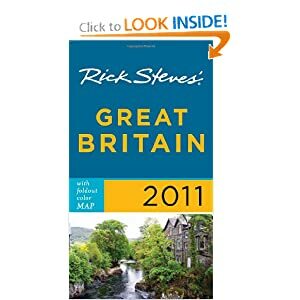 If you’re planning for an excelent trip in United Kingdom, I strongly recommend investing in Rick Steves’ Great Britain 2011 with map book, and the relevant Lonely Planet Guide for in-depth country information on the sights to see, places to stay, places to eat. They’re both are very very useful, and you can count on Rick Steves to tell you what you really need to know when traveling in Great Britain.